Hungry for some real insights? And yummy, self-prepared food? Then this is just the event for you! Join us for an evening with Helvetia & André Eisenhut. 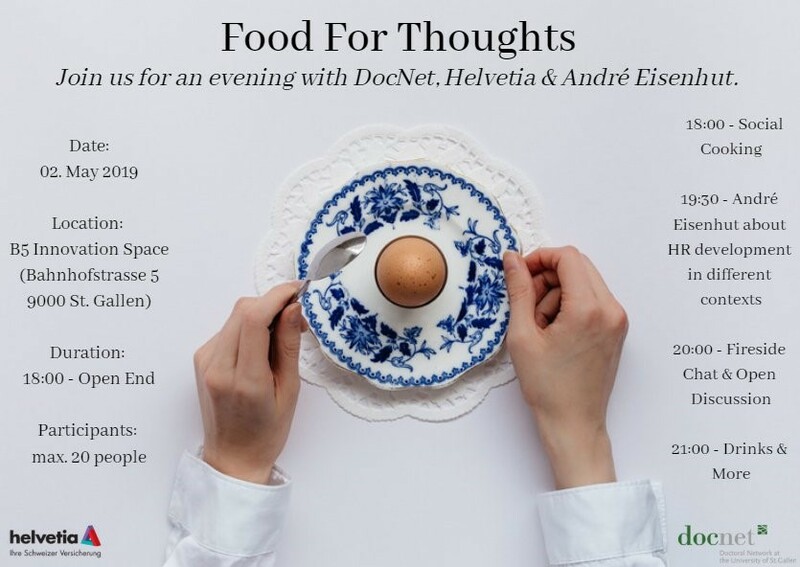 The evening will start off with a cooking session and dinner, followed by a short presentation from André Eisenhut, who will be giving you some insights into HR development at Helvetia. Later, you will have the chance to ask questions, at a fireside chat with Mr. Eisenhut. Drinks and Talks will round this evening off. Limited places – so be quick and sign up for a evening full of food, thoughts, and fun!